This program is an exciting opportunity to give over space and platform to new voices, and make the depth and breadth of local artistic practice more visible at the Walker. 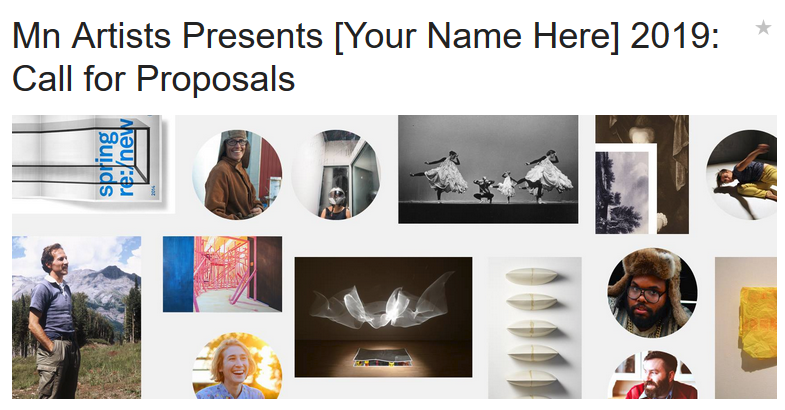 Through November 20th, MN Artists is accepting proposals from artists to serve as guest curators for a series of one-night events at the Walker Art Center. Artists should propose a central idea or question (that may arise from their own practice), and help shape a multifacted event to explore that question with a general audience. The hope is to create exchange between metro area artists and artists living in greater Minnesota, so covering travel costs for greater MN artists is incorporated into the program.